First and foremost, the design process is extremely important. I will meet with you and talk about the direction of the website, including the goals of the website and the look and feel you’re going for. I create a custom mockup in photoshop based on our conversations. If you like it, great! If you don’t, I’ll fix it. In fact, I don’t put any limit on the number of revisions you can make to the design. That way, I can guarantee that you’ll love the way your website looks. 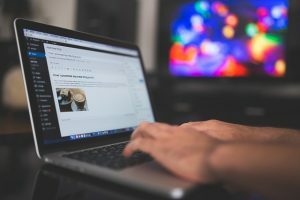 Every website I build uses the latest version of the WordPress core files so that all the latest options and developments will be present within your website. I build the foundation of each custom theme on what is known as “responsive web design” so that each website will load perfectly and provide all possible functions regardless of whether the site is viewed on a desktop computer, a tablet, or a cell phone. I select the perfect color combinations and match the site to the design that has been approved. This is mostly done with CSS, however, the core of the theme is built with php and html, so I do work with those languages a lot as well. I determine whether the theme will have a full screen layout, or sidebars on either the left or right side of the content. Sidebars can feature latest blog posts, tweet feeds, advertising, or just about anything that adds value to your website. I design the top and bottom parts of the theme (the header and footer) to reflect your logo and the link menus so that they will blend well with the colors and fonts. I add all the functions within the theme that will suit your specific needs. 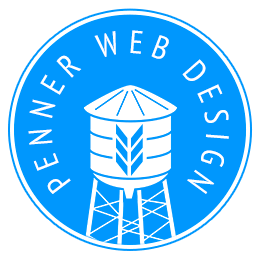 Although WordPress has thousands of free themes that anybody can use, our goal at Penner Web Design is to provide you with a custom WordPress theme design that is unique, well designed and user friendly – one that will aid in the growth of your business. Contact us today!